I love this book series, just sad that this is the last book. I'm really hoping that Kyell Gold does one last one book. Sorry to say good bye to Dev and Lee. Fun Read. I love this series. 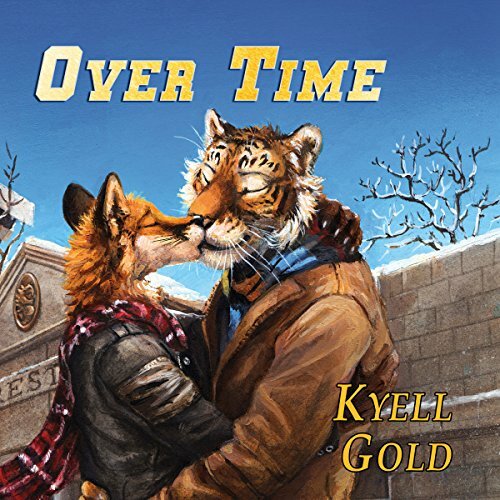 When first reading this series, I was a bit skeptical about a pair of gay anthropomorphic furry characters, but Kyell Gold's writing is so superb that before I knew it I was hooked on these two. Devlin the football playing tiger and Wiley (Lee) the gay activist sports recruitment scout are so interesting to read. The world that the author has built touches on so many different themes and human interest problems that are very relatable in todays world. By the time I was 1/2 into the first novel, Out of Position, it was beginning to seem like the most normal thing in the world, romance....football....talking animals. In this last of the series Dev and Lee are struggling to find their way in a relationship that has had some pretty rocky moments, and trying to figure out if their love is a forever kind of thing. This angst was just right amid all the family and friend crisis and drauma surrounding them constantly. In the end they discovered that they were perfect for each other and I was so sad to say goodbye to them. I hope that Mr Gold will revisit this couple again in the future. Love this entire series. Narrator. While I absolutely love Jeremy Sewell's crisp clear voice,( he has a beautiful reading voice) he is not my favorite narrator by far. These books all switch chapters with Dev and Lee being the 1st person in alternating chapters. Mr Sewell does not distinguish between character voices AT ALL. Meaning that it was very hard at times to tell which character was speaking. Its very ...throw you out of the story ....distracting.. He basically just reads the book out loud. For me, he has a nice voice, but not ideal as a narrator. wasn't wasn't a fan of how the series started well, I should say I wasn't a fan of the first couple chapters of the first book started. after i finished the first book I couldn't put the series down and I kept buying the next book after the next book . I found this series and being the first books from Kyell Gold I loved it. Amazon said seven more words are needed.